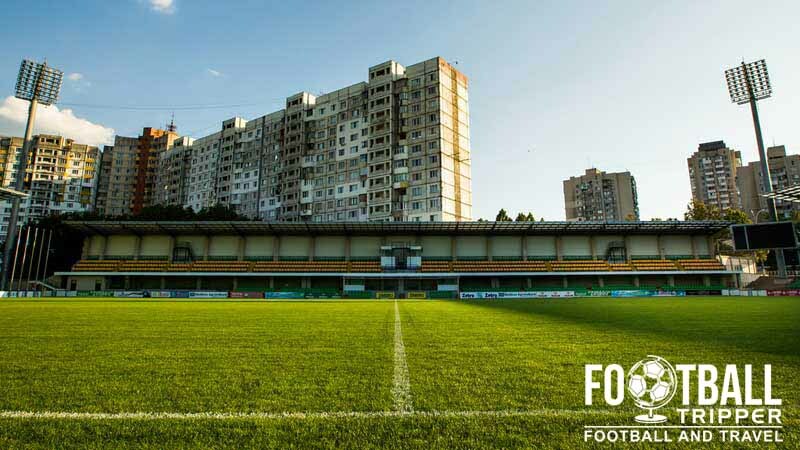 Zimbru Stadium is a purpose-built football stadium located within Moldova’s largest and capital city of Chișinău. It is home to both the Moldavian National Football Team and local side FC Zimbru Chișinău. 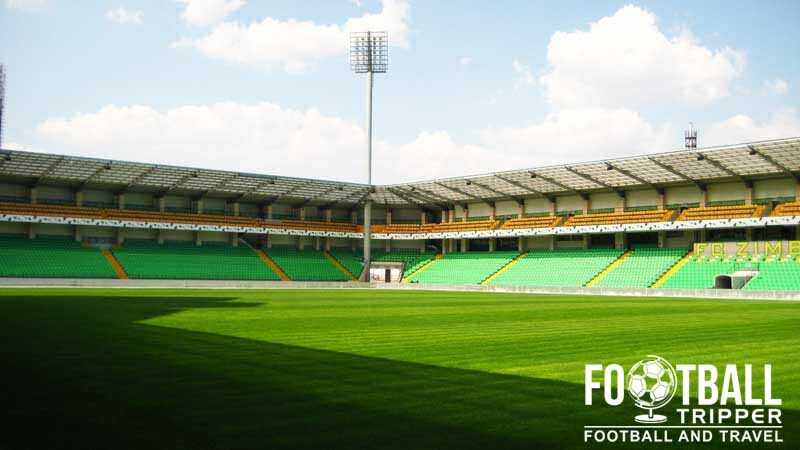 Zimbru Stadium’s construction was driven by the twin desires of local side FC Zimbru Chișinău to have their own dedicated football ground, and Moldovan Football Federation’s wish to satisfy UEFA and FIFA’s stadium regulations. The two sporting entities combined to fund the project which cost an estimated $11 million in total. Designed by architects Ceproserving SA, construction took place over a 27 month period beginning in March 2004. The inaugural fixture was played on 20th May 2006 between Zimbru Chisinau and FC Krylia Sovetov Samara from Russia, with the honours even after a scoreline of 1-1. Ironically since opening Zimbru Stadium has been characterised by anything but a lack of goals – at least when it comes to International Football. England defeated the Moldovan National Team 5-0 back in September 2012 during a Brazil 2014 World Cup qualification match. Since that fixture however the national team has had a fairly decent record at Zimbru Stadium with the defence being much better organised. Zimbru Stadium is comprised of four stands: North, East, South and West. 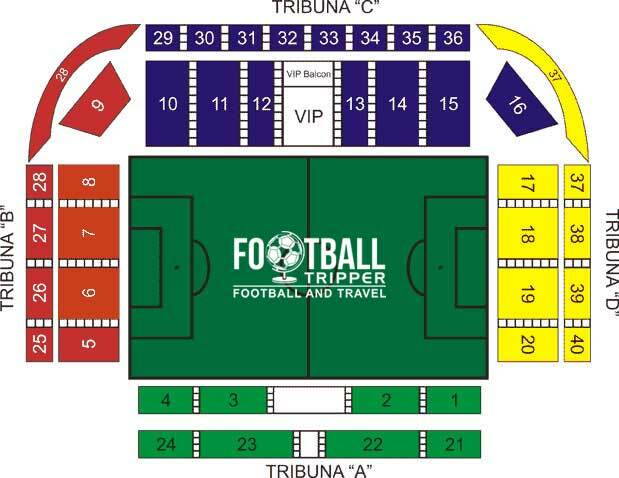 For England’s 2014 World Cup qualifier away fans were housed within blocks 19 and 20 of Tribuna D. The tickets are distributed amongst the lower tier of the east stand within the southernmost part towards the small grandstand. The city centre is blessed with a good number of pubs which specialise in beer, although less so as you get closer to the ground. We couldn’t find any opening times for a football store at the stadium so it appears if there isn’t one open during the week. 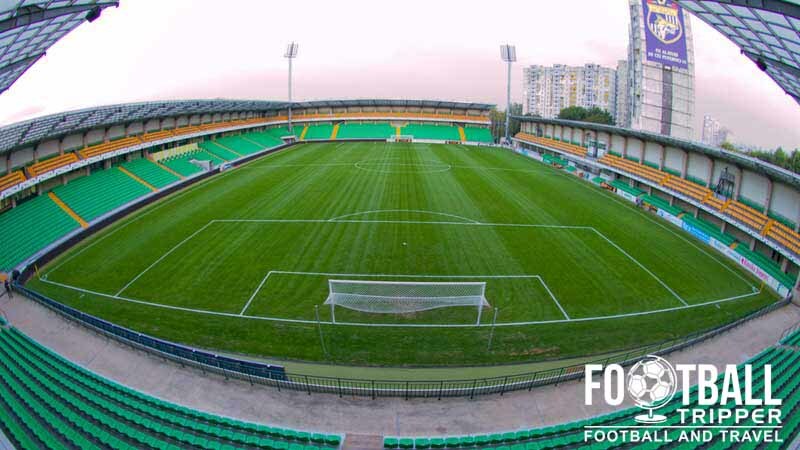 It doesn’t look as if any stadium tours are available of Zimbru Stadium. The ground is perhaps a bit too small to be regarded as a tourist attraction! Tickets to see your country take on Moldova in an International fixture should always be purchased in advance of the match through the relevant football association/federation. 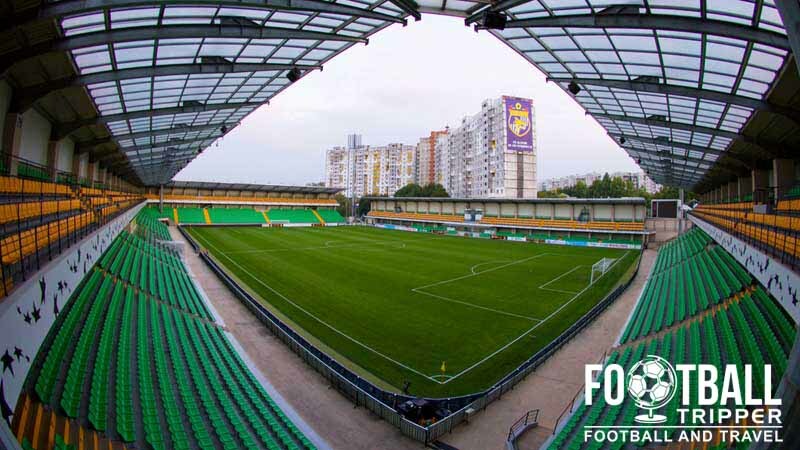 As for tickets to see FC Zimbru you can typically purchase tickets at the stadium up to two hours before kick-off – assuming the game hasn’t sold out, not that this rarely happens in Moldova. Stadionul Zimbru is exactly 5.0 km south-east of Chișinău city centre which is marked on the map as the area next to the train station. The main entrance of Stadionul Zimbru is pleasant and very welcoming. With the journey likely to take the average Football Tripper around 60 minutes by foot, taxis are normally the easiest option for away fans. There are two bus stops located on Bulevardul Dacia which runs south of the stadium however we’re not sure which buses serve this route. The city’s Central Railway Station is the main and only train station of Chisinau. Although not very practical for many, there is an overnight train services from Bucharest n Romania, and Warsaw in Poland which can sometimes work out cheaper than flying. “FC Zimbru – Fondat in 1946” – The welcome sign which greets fans making their way to the stadium. Chisinau International Airport is the main flight hub of Moldova and thus it can be relied upon to have numerous flight services around Europe and the world. It sits 13 km southeast of the city centre. Upon arrival you can travel into the city centre by taking either the number 165 minibus or by simply taking a taxi – just make sure you agree a price before hand to avoid getting ripped off. The two closest hotels next to Zimbru Sports Complex are Vila Irus and the easy to remember Zimbru Hotel. Whilst convenient they’re certainly not in the best location to take advantage of the night-life so you might want to look for something back towards the centre. Close to the hotel there are plenty of affordable options including Edem, Cosmos, Arus and Bella Donna Hotel.